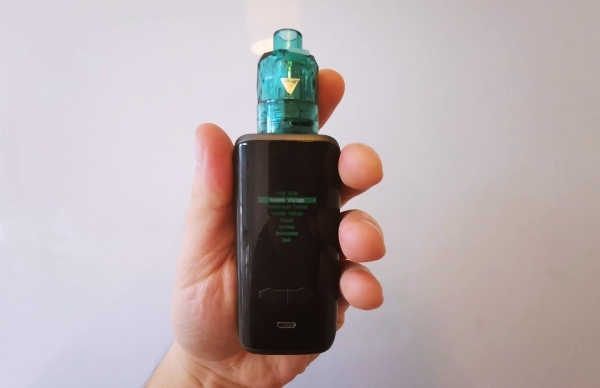 Augvape VX200 Kit Review | Err... Why A Disposable Mesh Vape Tank!? You see, the vape tank the Augvape VX200 Kit comes with is disposable, meaning you use it until it’s done and then you throw it away. I’m not sure how I feel about this, to be honest; it kind of feels wasteful. The Augvape VX200 Kit comes in a fairly modest box. You have the mod in one box and the tanks (my pack included four) in another. 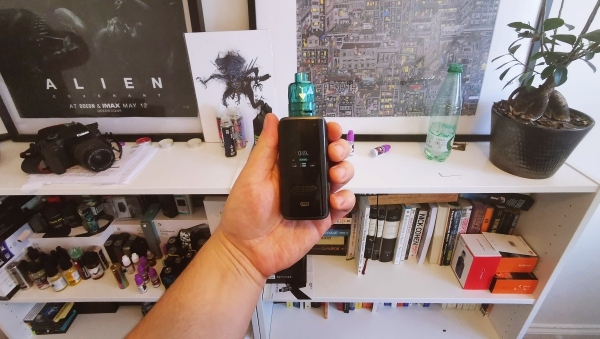 Setup, as you’d expect, is simple: fill the tank with vape juice, attach it to the VX200 mod, and then wait for it to prime. The mod itself is fairly nondescript. It’s smooth and black and features soft corners and edges. It’s decent looking, actually, and the buttons and controls are all well placed – the entire right side is a firing bar, for instance. It does not feel robust or premium, however; in fact, the one word I would use to describe the overall feel of the device is “plasticky” – and not in a good way. 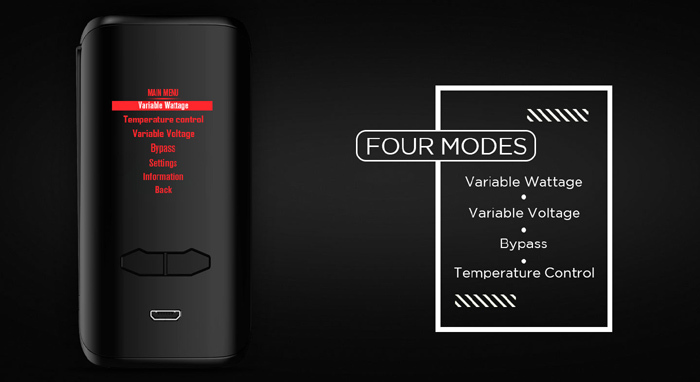 You have a 1.3in color display, a nice menu for moving around settings, and simple controls for upping or downing the power located just below the screen. I was a HUGE fan of the Augvape V200. 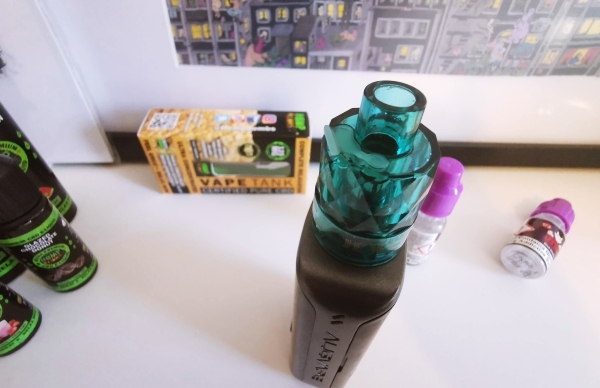 I loved its design, the way it handled but I’m not 100% sold on this mod at all – it just feels really insubstantial, like it’d shatter into a million pieces if you dropped it. But myself… I kind of prefer some heft, some robustness to my vape mods. I want to feel secure that, should I drop it, it won’t break. Also: for some crazy reason, the VX200 would not accept any of my RDAs. Whenever I attached them, the mod would simply shut off – this has never happened to me before. No idea why this happened or what was causing it. The Jewel Disposable Mesh Sub-Ohm Tank is pretty much the same. Plastic, with non-removable coils, and designed to be very lightweight. They also come in a range of colors. Mine were teal, pink, and blue. With respect to flavor, it was decent enough. No way near good enough to give any of the tanks in our Best Vape Tank Guide cause for concern, but perfectly adequate for a kit tank. You can’t really prime the coils either. Not properly, anyway, as you cannot remove the coil – it’s sealed inside the tank. This didn’t cause any problems. 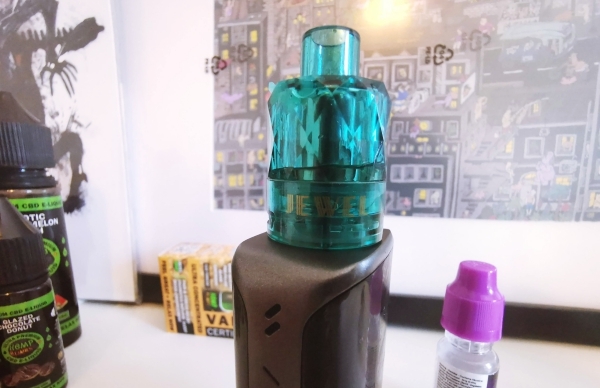 Left alone and filled with E Juice, the Jewel tank primed itself in about five minutes. With respect to airflow, you need to keep it 100% open. Any deviation from this results in sub-par experiences. Wide open, it’s OK. Nothing special, basically. For flavor, again, it’s adequate, just nothing special. Each tank lasts about 7-8 days. After this, once the coil goes, the tank is useless and you need to throw it away. Once you’ve been through all three tanks in the pack, you have to buy more. As noted at the beginning of this post: I really don’t get why brands are releasing disposal mesh tanks. It just seems incredibly wasteful and, well, kind of pointless. 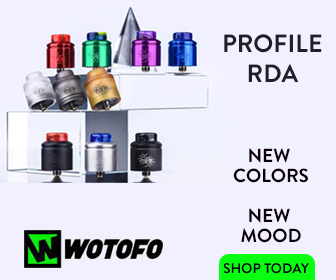 What’s wrong with a standard sub ohm tank with replaceable coils!? They’re cheaper to run, long term, and they’re more economically viable – mesh coils are pricey, but they’re cheaper than buying a pack of three disposable tanks. 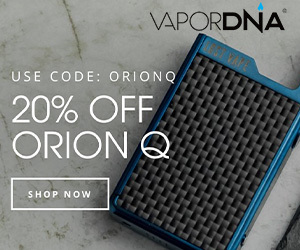 Overall Verdict – Would I Buy This Vape Kit? This is the first time I haven’t really liked a product from Augvape. In all the years I have been doing this, Augvape has always impressed me with its design and overall attention to detail. The Augvape VX200 Kit, however, is a swing and miss for me. I don’t really like anything about this kit – especially its disposable tanks! So wasteful! The mod itself is OK, though too plasticky for my tastes. It also doesn’t like ANY of my RDAs which is weird (and a huge negative for me). And then there’s the price: it ain’t cheap! At just under 50 bucks, it’s more expensive than a lot of really good, competitor devices right now. So, no… I wouldn’t buy this vape kit. Instead, I’d get something from our Best Vape Mod Guide.